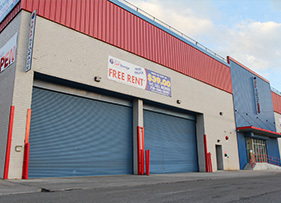 Coney Island Self Storage Units Starting at $15/Month! Secure Self Storage provides a truck free of charge on your move-in day for maximum savings and convenience. Sign up with us now and save big on select units starting at just $15 a month. Secure Self Storage delivers high quality storage services to Coney Island, Gravesend, Sheepshead Bay and the surrounding neighborhood. In fact, no other Coney Island facility offers the dedicated customer service and breadth of features that we do. From mini storage lockers and car storage to a moving truck to help you move, it isn’t hard to understand why Secure Self Storage in Coney Island is the best at what we do. Add our great money-saving deals to the mix, and you’re sure to find the right storage solution for your specific needs. To see just how affordable and convenient our storage units are, come to our West 21st Street facility and take a look around. 5 ‘x 5′ x 5’ (Locker)* Small Closet Personal items, clothes, boxes, children’s toys, business records, etc. 5′ x 5′ (25 sq. ft.) Regular Closet Personal items, clothes, boxes, skis, children’s toys, small furniture items, business records, and sales rep materials. 5′ x 10′ (50 sq. ft.) Walk-in Closet Small amounts of furniture, sofas, chairs, chest of drawers, boxspring and mattress, business supplies and records, plus other small items and boxes. 7.5′ x 10′ (75 sq. ft.)* Large Closet Small amounts of furniture, sofas, chairs, chest of drawers, boxspring and mattress, business supplies and records, plus other small items and boxes. one-car garage One-bedroom apartment with major appliances, other furniture and supplies. 10′ x 15′ (150 sq. ft.) Two-thirds of a one-car garage A two-bedroom apartment or house, including appliances, boxes, and miscellaneous items and commercial storage inventory. one-car garage A three-bedroom house with major appliances, plus lots of boxes. Business storage files and inventory ideal for storage racks. two-car garage A four- to five-bedroom house with major appliances and room for boxes. Excellent for business storage of files, equipment and permanent records. two-car garage A five-bedroom house with major appliances and room for boxes. Excellent for business storage of files, equipment and permanent records. *Only available at select locations. business records, and sales rep materials. business supplies and records, plus other small items and boxes. and inventory ideal for storage racks. Yelp Rating: 5 out of 5 stars based on ‎3 reviews.